Are you spending weeks trying to manage your wine clubs? We can help! 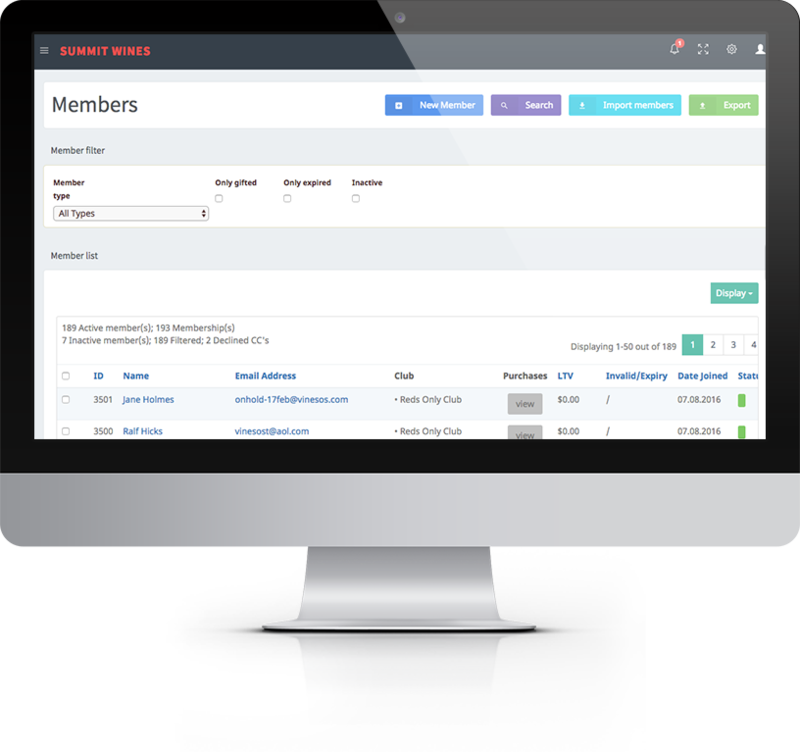 Simplify your process of running your clubs. With Vines OS, you just add your clubs and create a shipment. Print your shipping labels and track it all the way through to fulfilment. 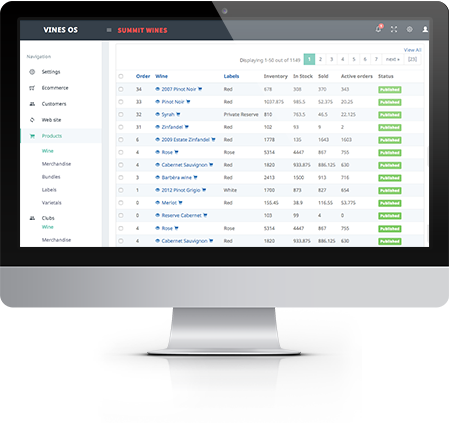 When guest visitors are buying online, Vines OS promotes conversion to membership. It shows buyers how much they would save by becoming a member and allows a one-click sign-up during checkout. Capture a sale and grow your wine club simultaneously and effortlessly. 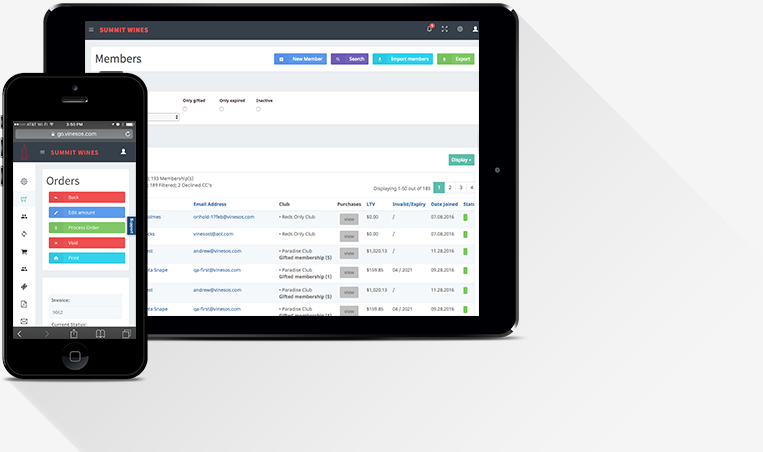 Fully integrate your club with the #1 rated iPad POS Solution and the #1 Accounting Solution, which takes orders and tracks inventory. 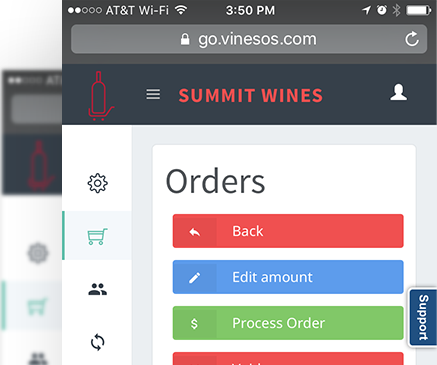 Customers, members and orders seamlessly synchronize between Vines OS and Revel. Club orders are pushed immediately through to the POS so you can manage pickups. 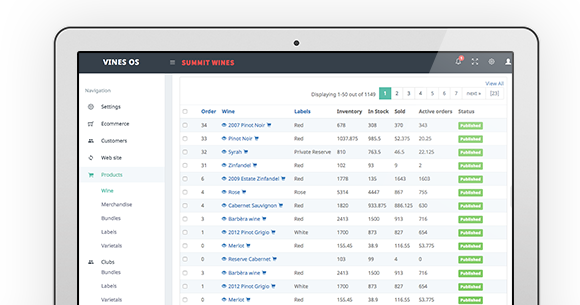 See important member statistics when you ring up a customer, such as when they last visited, what their favorite wines are, and their lifetime spend with you. Embedded dunning control for decline management as well as Decline Minimizer cuts down on the time you spend calling members for declined credit cards. 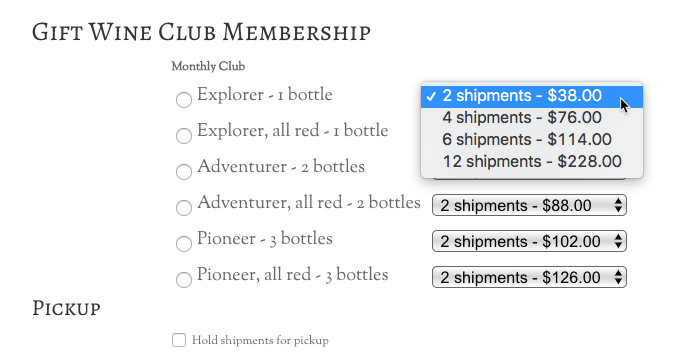 Invite your members to customize their club shipments. 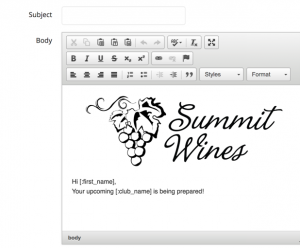 Just create the club orders, then send out an email campaign to invite your members to log in, or call in, to update their wine club shipment. Good for you; Good for your members. Increase your membership by offering Gift Clubs. Members can buy the gift that keeps on giving and keep your wines on their family and friends tables all year long. Stay in touch easily with your members. Let them know about the upcoming release or pickup party. Filter for the club, or choose all clubs, compose your email, preview and send. All communications are logged directly on the member record. We use Mailchimp servers to guarantee the highest rate of delivery.